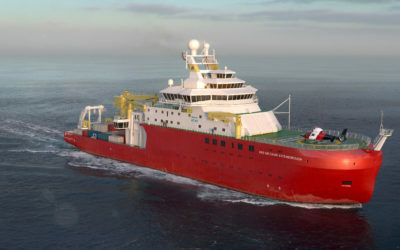 RRS Sir David Attenborough will be the first British polar research vessel to feature a scientific moon pool. 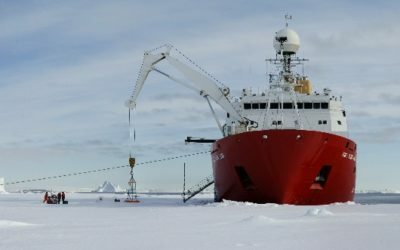 This allows flexible and reliable deployment and retrieval of scientific equipment such as remotely operated vehicles and autonomous underwater vehicles. A moon pool is a vertical shaft (~4m x 4m) running through the vessel and open to both the air (at deck level) and sea (at the hull). 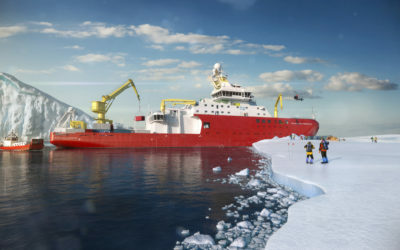 Using a moon pool, scientific equipment can be lowered and raised in and out of the water through the centre, and thus most stable part, of the ship. 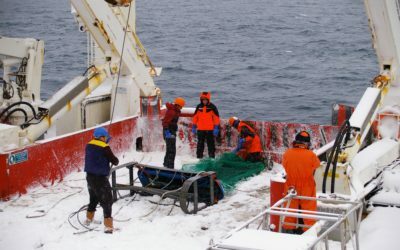 This is both easier and safer than deploying equipment over the side or stern, particularly in the rough seas and ice-covered waters characteristic of the polar oceans.